Planning on an out of the country break this holiday season? Choosing which country to visit isn't a walk in the park especially if you're travelling on a budget. For us, we chose the one that was more economical although we considered paying Europe a visit. LoL. 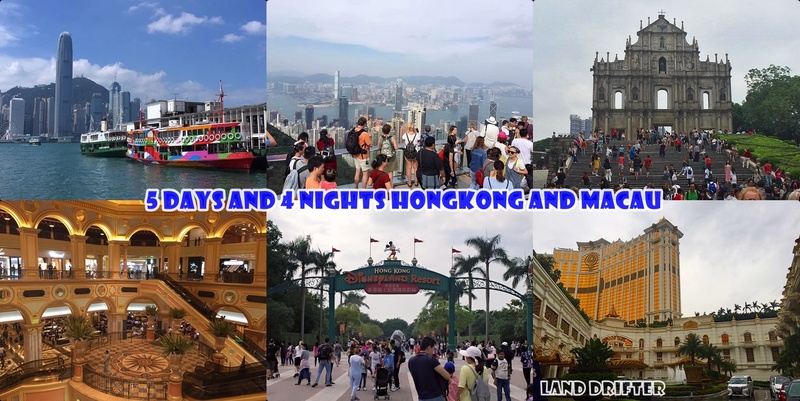 You might want to try our 5 days and 4 nights wedding anniversary escapade in Hongkong and Macau. I personally think we did the right choice because our daughter who is a super fan of Disney saw her favorite characters came to life. First off, you can choose as to where to land between Hongkong and Macau. We opted to land in Macau as opposed to Hongkong for economic reason. If I recall correctly the flight from Bangkok to Macau and back, more or less a three hour journey, was a few thousand baht cheaper than the one going to Hongkong. I suggest to check which city offers a cheaper alternative. We left Bangkok at a little past 3 pm and arrived in Macau at about half past 7 pm on 14th October. By the way, I want to warn you that the immigration in Macau is a little strict compared to Bangkok officers. When my 4-year-old daughter played around the lady officer's cubicle, she told my daughter to stop playing at once, showing a very strict face. The immigration didn't stamp our passports either. She simply scanned our passports to their system and gave us each a piece of paper that states as to when we can stay in their city. That paper should always be in your passport. If you lose it, um, well, good luck with that. Expect another reprimand from the immigration. LoL. After we were cleared we asked the information on how to get to Hongkong. We were told that Macau has two ferry stations going to Hongkong and back. One is near the airport while the other one is about 20 minutes located on the other side of the island. We chose the one that is a litter farther so we can have a view of Macau at night. You might ask as to why we didn't stay in Macau. 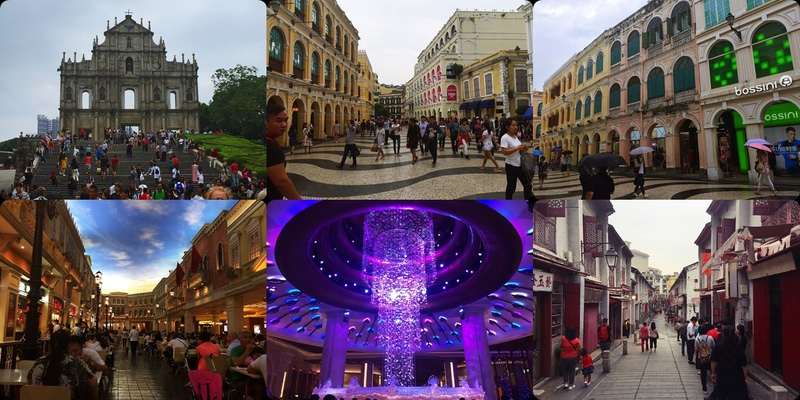 We only used Macau as our point of entry because the ticket was cheaper. Also, we already booked our hotel for 2 nights at Rambler Oasis Hotel in Hongkong via booking.com prior to our departure. Another thing you have to consider is to have your money exchanged to Macau's currency called pataca and have some coins added to your arsenal. Buses running the city only accept coins which you need to drop in a piggy bank looking thing next to the driver. It is imperative to have the exact amount of fare because there is no change. We bought our ticket on the second floor of the station. 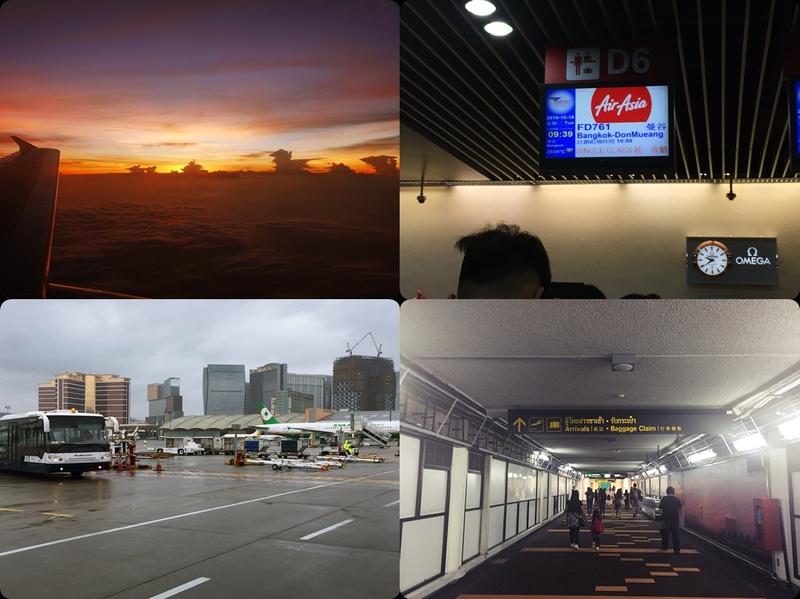 The trip from Macau to Hongkong was about an hour. There were no big waves so it was really smooth. Flew from Phitsanulok to Bangkok via Nok Air on 14th October at 8 am. Left Bangkok to Macau via Air Asia a little past 3 pm and arrived in Macau at about half past 7 pm (more or less three-hour journey). 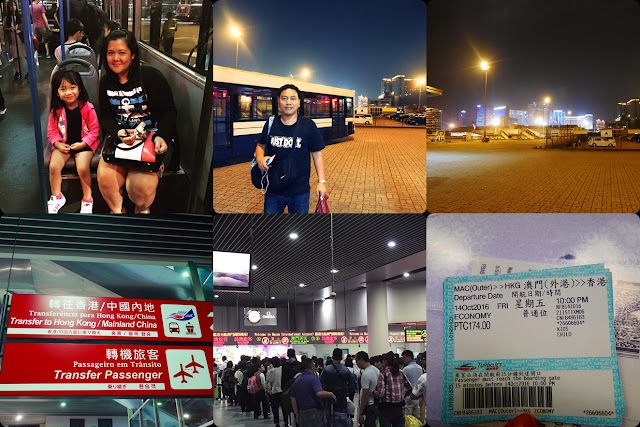 Took the bus from the airport to Macau-Hongkong Ferry Station (15-20 minutes). Sailed with Turbo Jet ferry from Macau and arrived in Hongkong after an hour. Took a taxi from Hongkong's ferry station to our hotel. Went to bed and snore. Woke up, prepared, and left via hotel bus to Disneyland at 9:30 am. Arrived in Disneyland after 30 minutes. 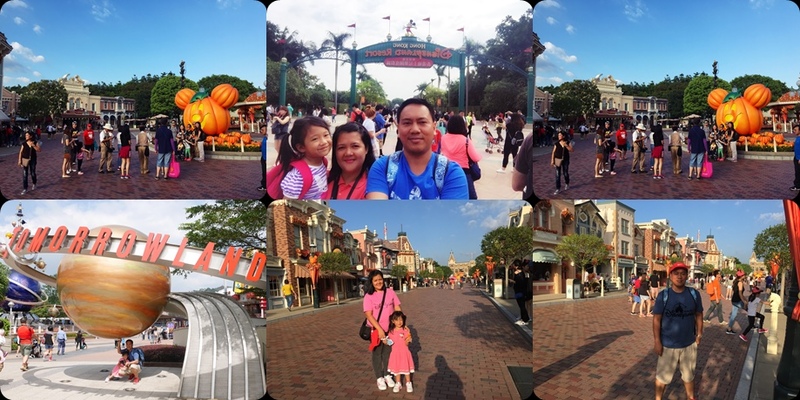 Stayed the whole day, experienced the rides, and waited until the fireworks display at 8 pm. Took the public bus from Tsing Yi Station to our hotel. Checked out from our hotel and booked a guest house for a night in Kowloon Island. 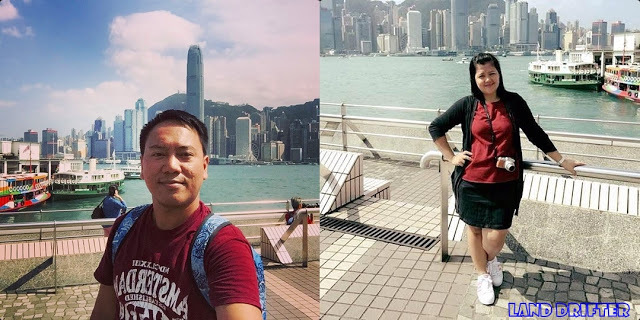 Took pictures and enjoy the view of Hongkong's Victoria Harbor and the clock tower located near Tsim Sha Tsui Station. Crossed Victoria Harbor aboard Star Ferry to Central Station in Hongkong Island. Took bus number 15 from Central Station to The Peak, roughly 20 minutes. 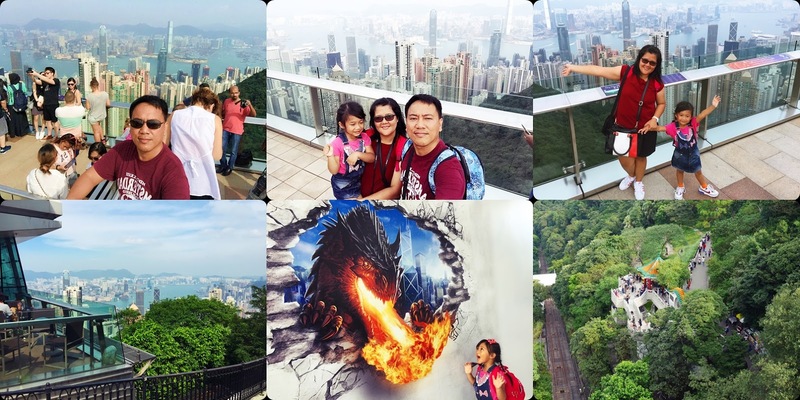 Experienced Hongkong's 3D adventure before climbing the Sky Terrace for a full 360 view of Hongkong. Trust me, the view was breathtaking. Took the tram back to downtown Hongkong Island and took bus number 15 to Central Station. Crossed Victoria Harbor once again aboard Star Ferry to Tsim Sha Tsui Station in Kowloon Island before heading back to the guest house which was just 15 minutes away. Returned to Tsim Sha Tsui Station to see Hongkong Islands' iconic lights at night. Checked out from the guest house and walked about 15 minutes to Hongkong China Ferry Terminal (not too far). Cruised via Cotai Strip to Macau. A friend picked us up and took us to Hotel Man Va.
Had lunch at a Filipino resturant near Senado Square. Then visit Senado Square and took picures of the area as well as the famous Saint Paul Ruins. Took a free bus ride headed to Galaxy Macau and was mesmerized with its intricate architecture design as well as the magnificent Diamont Light Show. Took another shuttle bus to the Venetian, one of Asia's luxurious casino hotel. If you want to experience the opulence of Venice, Italy in Asia - come and visit the Venetian. We were also planning to see the dancing fountain at the Wynn Palace but it rained, so we took a time off and went to bed. Breakfast at the Filipino restaurant before checking out. Took a taxi to Macau Airport, approximately 20 minutes. Waited for boarding and off we flew back to Bangkok, Thailand. Finally, flew from Bangkok to our home sweet home in Phitsanulok. Whew! I can't believe we only spent a little over 50k baht for a family of three for a Hongkong- Macau getaway considering these two cities are expensive. 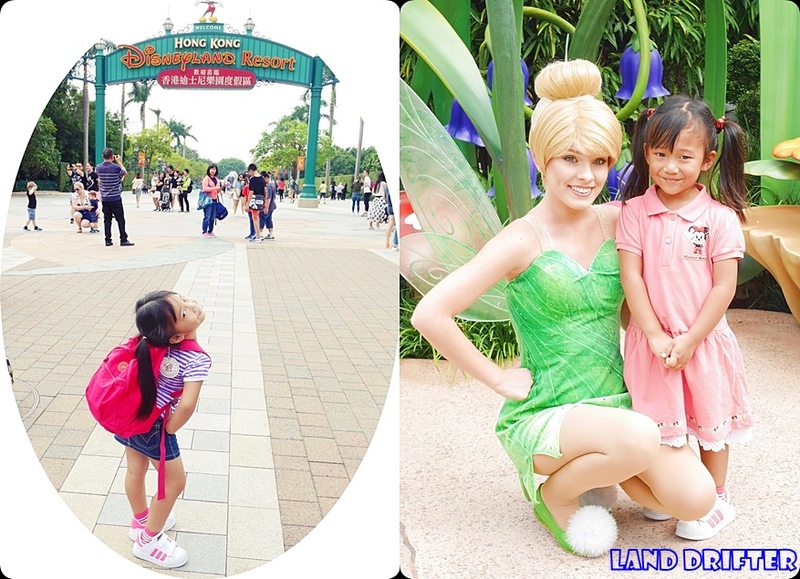 We were also able to bring home 3 Disney shirts, 4 HK T-shirts and 3 Macau T-shirts as souvenirs as well as Disney toys for our 4-year-old daughter. I'm overwhelmed until today with the joy this trip brought us. This is our first family trip together in another country and certainly won't be the last.